A large three bedroom staggered-terrace property situated on the ever popular Page Hill development, within walking distance to Buckingham Primary School. This lovely family home offers a kitchen fitted with a range of base and wall units with rolled edge work surfaces. Built in hob, electric oven, integrated dishwasher, washing machine and fridge freezer. The good size lounge diner has a sliding patio door giving access to the sunny rear garden. The family room is to the front of the property and could also be used as a study or playroom. 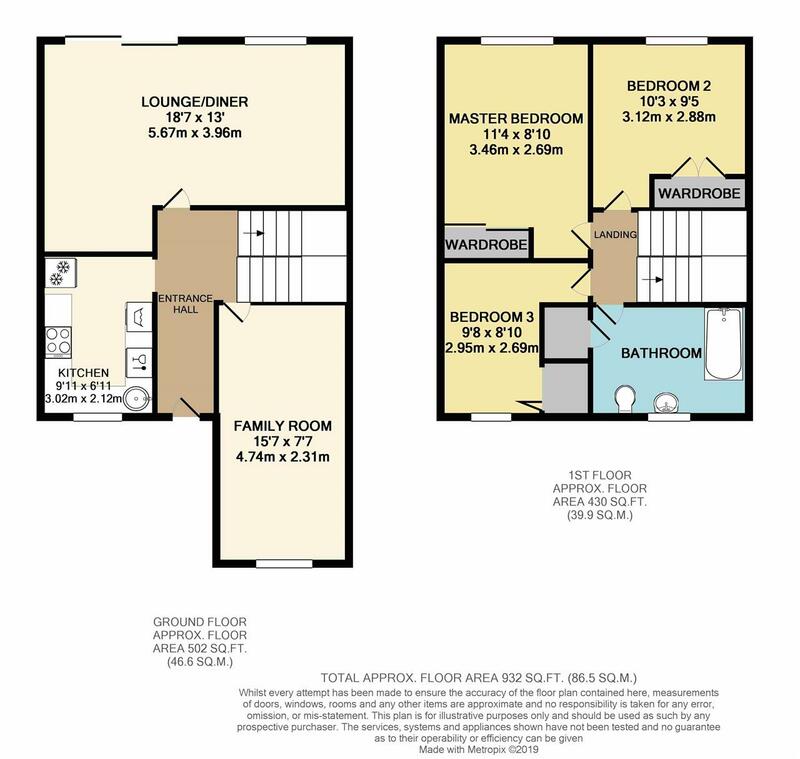 Upstairs, all three bedrooms have built in wardrobes with two of them being doubles and there is a recently replaced, spacious family bathroom. The south facing rear garden is mainly laid to lawn with a paved patio area and garden shed. To the front, the block paved driveway provides off road parking for up to three vehicles.